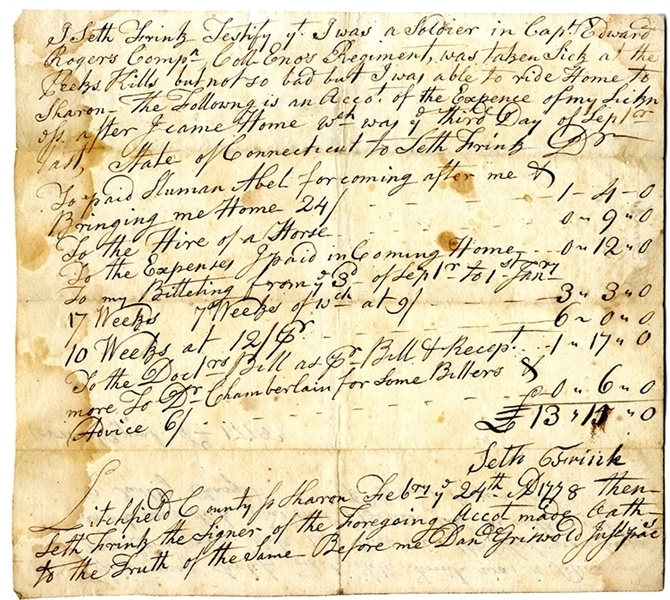 Manuscript Document Signed “Seth Frink” and endoresed by Edward Rogers Capt. on verso, 1pp. quarto, Litchfield County, Connecticut, February 24, 1778, and reads in small part: “...I was a soldier in Capt. Edward Rogers Compn. Co. Eno’s Regiment, was taken sick at the Peeks hills ...The following is an accot of teh expence of my sickness...” Very good condition.